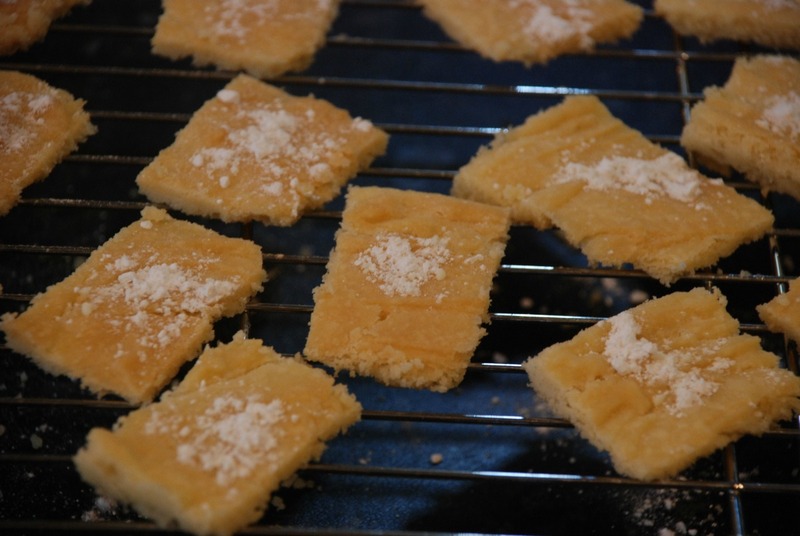 Pink has been reading the Katie in Scotland book recently and wanted to make some shortbread biscuits like they eat in the book. Lucky for me my mom had a lovely recipe for shortbread biscuits so a rainy morning inside ment a perfect opportunity to give it a go. The recipe is actually very simple (On our first attempt I actually halved the quantities as I was not sure if the kids would eat them but they loved them). 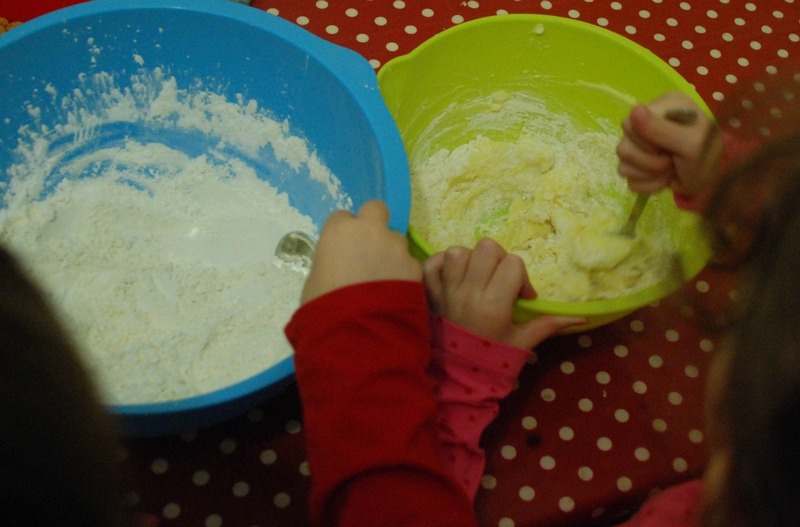 Mix spoonfuls of the dry ingredients into the butter mixture slowly mixing (loved the teamwork here – blue added the dry mixture while big sister mixed it). 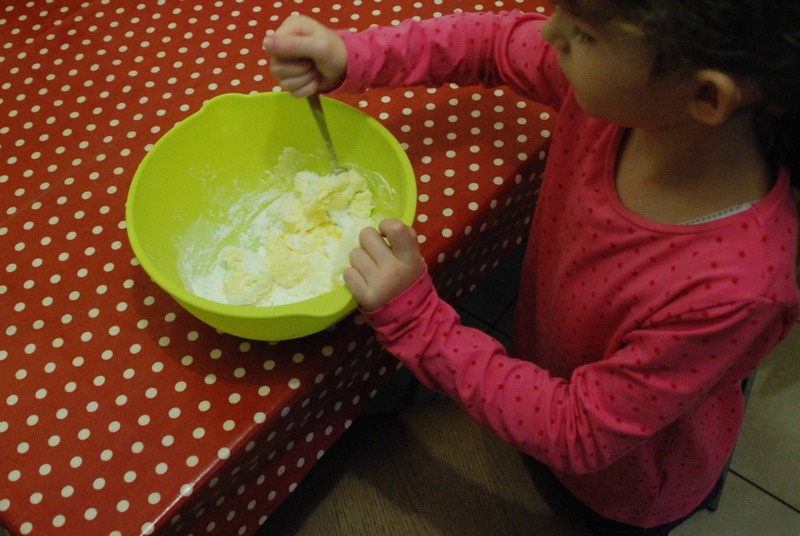 Cut into fingers and when cooled sprinkle with some icing sugar (this is great for kids who are hesitant to get their hands messy – Baking has really helped Pink with this). And enjoy (I thought they went perfectly with a nice cup of tea). 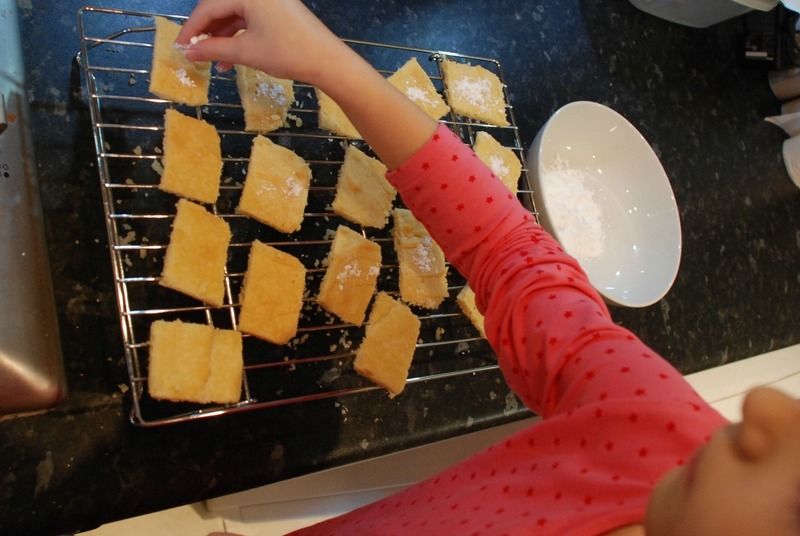 This entry was posted in Baking with Kids, Homeschooling, sensory play and tagged baking with children, home ed, homeschooling, Katie in Scotland, kids baking, sensory play, Shortbread biscuits. Bookmark the permalink.